2. Excellent Hand weaving Technique with fashion design. 2. 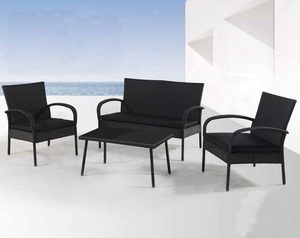 PE Rattan: Synthetic rattan with UV-resistant, durable, for all season use. However customer has to pay for the product cost and shipping cost. 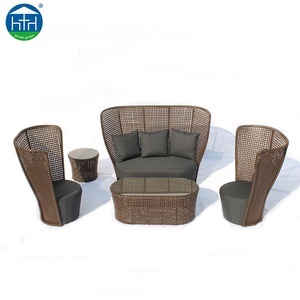 New Rope Material Garden Sofa Set 5 Seater Design Patio Sofa Set 1.rope sofa set 2.garden webbing sofa 3.garden sofa set Item No. table 1pc/3boxesthe items are packed by the carton or corrugated board directly. Product rich in fats, processed feel lubrication, surface golden brown (3) frame is webbing weaving, we have different color options on webbing. 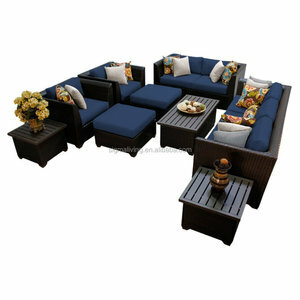 Alibaba.com offers 24,011 patio sofa set products. 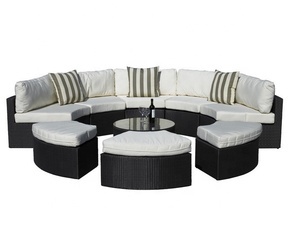 About 50% of these are garden sofas, 43% are rattan / wicker sofas, and 37% are garden sets. 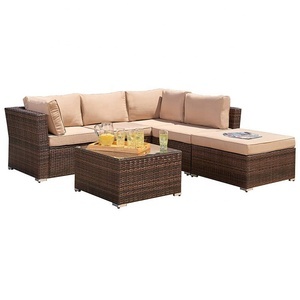 A wide variety of patio sofa set options are available to you, such as rattan / wicker, fabric. You can also choose from paid samples, free samples. 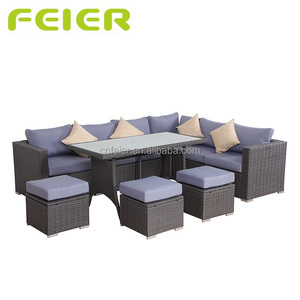 There are 24,011 patio sofa set suppliers, mainly located in Asia. 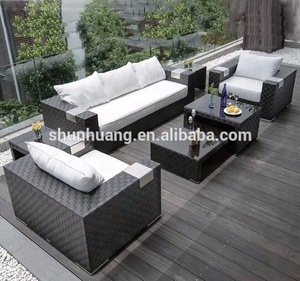 The top supplying country is China (Mainland), which supply 100% of patio sofa set respectively. 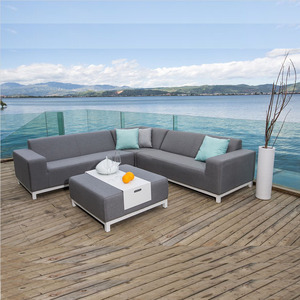 Patio sofa set products are most popular in North America, Western Europe, and Northern Europe. You can ensure product safety by selecting from certified suppliers, including 1,937 with ISO9001, 1,843 with Other, and 748 with BSCI certification.